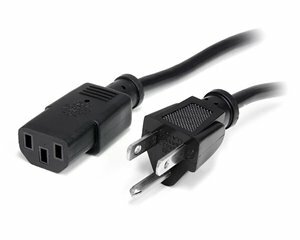 10 foot universal computer power cord "Y" cable provides one NEMA 5-15P power connector and two C13 power connections. Allows two devices to share one power port connection. Frees up space on your power strip, surge protector or wall outlet. Great for computers, monitors and printers.